In some sense I didn’t have to draw the horse in a top hat and monocle. In another, truer, sense it was absolutely necessary. 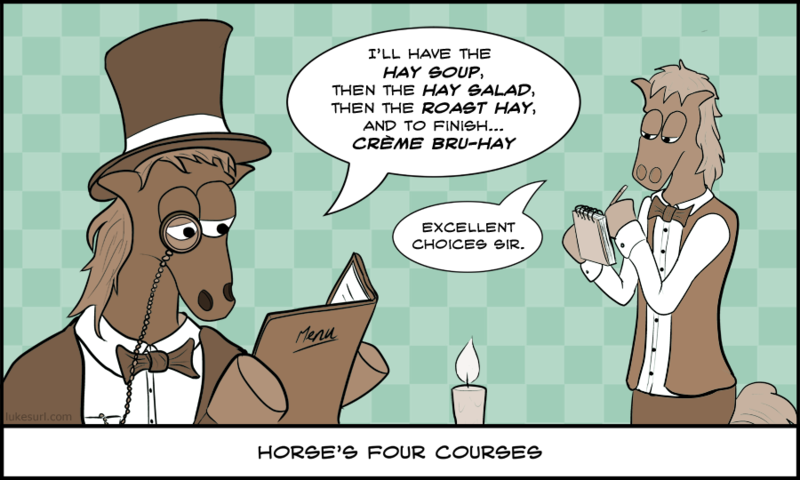 It’s a pun on the phrase “horses for courses” (http://en.wiktionary.org/wiki/horses_for_courses).